The Art Therapy Studio on Herman St.
My studio is located in the heart of historic Germantown, 19144. One advantage to having an art studio to work out of is that it allows you to truly engage with all sorts of media – clay, splatter paint, hammer and nails – without the worry of mess or noise hindering the experience. 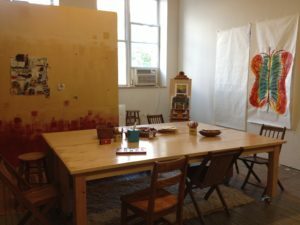 I believe it to be a warm and stimulating environment; a sacred space in a healing atmosphere…a place where you can momentarily lose track of time and fully engage in the creative process without judgment. 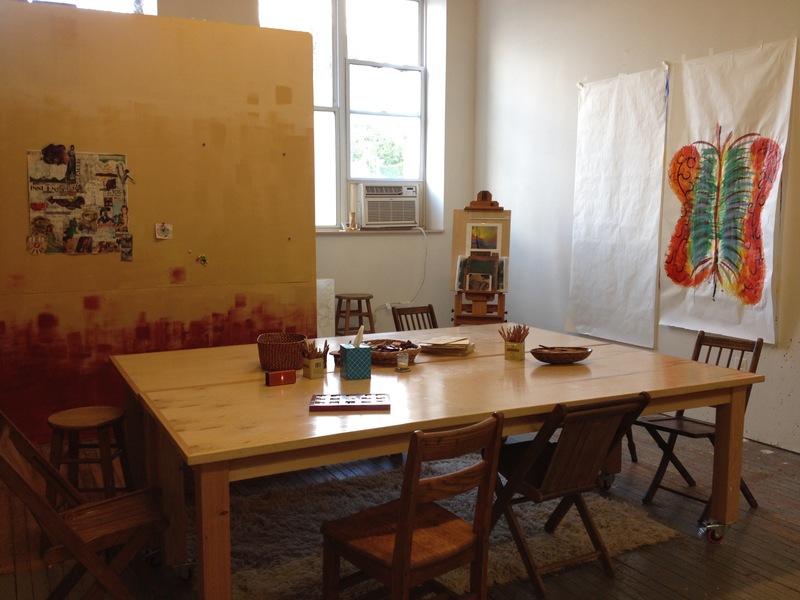 Click here to learn more about Herman St. Studios. The Well-Being Center in Ardmore I’m also able to meet with clients at the Well-Being Center located at 63 W Lancaster Ave, Suite 2 in Ardmore, PA 19003. Click here to learn more about the Well-Being Center. Insurance. I am not taking insurance at this time, however I can offer a superbill receipt as an out-of-network provider, that you can to submit to your insurance company for possible reimbursement. For questions or to schedule an intake session, please complete the form below or call Rachel at 215-459-4915.